Year 2 have enjoyed their introduction to history. We have examined objects and decided whether they are primary or secondary sources. Mrs Passmore’s amber with a fly in the middle of it was particularly fascinating! Kandinsky is our influent ial artist from history this half term. 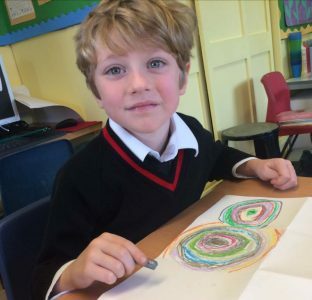 His concentric circles are such fun to reproduce! What wonderful bear diaries the children brought to school! They all had such lovely holidays. Thank you for all the parental support!